Tyrone Soondarjee, Cell C's new chief financial officer. Cell C has appointed Tyrone Soondarjee as its new chief financial officer. "We are excited to welcome such an esteemed member of the financial services industry to lead Cell C into its next phase as a business," says Cell C CEO Jose Dos Santos. 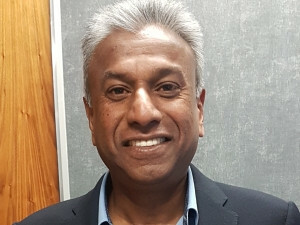 In a statement issued this morning, the mobile operator says Soondarjee brings 30 years of experience in the financial services industry to the company. He was most recently financial director at the Sasfin Group, a position he held since 2010. His decade of distinguished service at the business started in 2007, when he was appointed as the group's chief financial officer, says Cell C.
Previously, he held several executive-level positions at the Deloitte & Touche Group and was financial director at TNBS Mutual Bank. He is a chartered accountant and received his BCompt Honours degree from Unisa. "I know that Tyrone will bring the same dedication and care to Cell C as he has in the other businesses he has served, which his impeccable record speaks to," says Dos Santos. Soondarjee will take over the position from Robert Pasley, who will return to his original role as chief strategy officer. The appointment comes at a time debt-ridden Cell C is looking to seal a recapitalisation deal with Blue Label. Earlier this month, Blue Label said it is looking to finalise the Cell C recapitalisation deal in August.